In this post I decided to show one of the many painful defeats I suffered when I was younger. 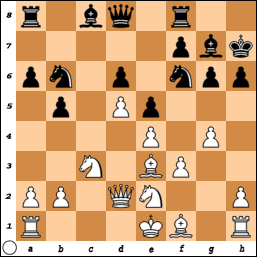 I was very good in tactics, but I was often unable to evaluate positions correctly, and this game is an example. 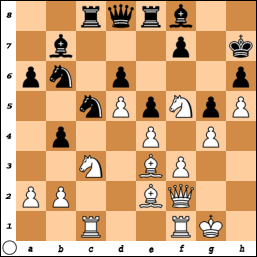 I lost this game in a purely strategic fashion, but without ever understanding why or when I got such a bad position. My primary motivation in writing Chess Structures was giving precise and contextualized advice, so that readers will know which positional features make up a good position in a given structure. 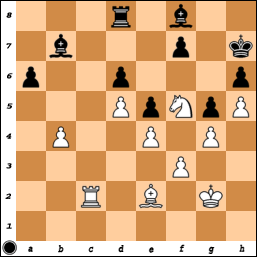 This game was played in 2004, at the World Youth Chess Championship in Greece. I was unrated at the time, though my strength was about 2000, my oponent was rated 2061. You will find many mistakes from both sides, but the important part here is sharing the logic I followed, illustrating how strategy without a context is dangerous. 10. cxd5 a6 11. Qd2 Kh7 12. Na4?! 16… Bb7 better was 16… Bf6! to prevent h2-h4 17. h4 Rc8 18. h5 g5? thoughts in 2004, compared to my thoughts in 2015. I already have a rook on the open file, which favors me even more. Overall, the position is somewhat better for Black. The knight on f5 is a monster, and trading it for my light squared bishop would only increase my weakness on light squares. 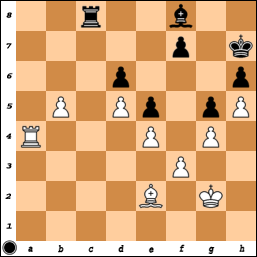 Even though Black does control the c-file momentarily, the lack of entry points will gradually make Black lose control of the file. Overall, White has a decisive positional advantage, winning should just be a matter of technique. 19…Nc5 20. Rc1 Re8 21. Be2 Bf8 22. O-O b4?! I thought I was “expanding”. In reality all I am doing in weakening the c4-square. 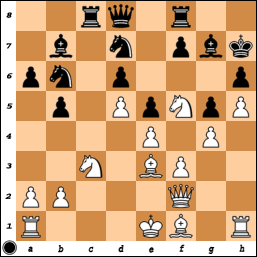 In case of 22…Ncd7 23. b3 Black simply does not have useful moves, while White’s play is making substantial progress. White has a decisive advantage. Only at this point it become very clear to me that something was wrong… Over the past 5 moves I had spent about an hour calculating and finding nothing, and now White begins making serious threats on what I thought was my flank. 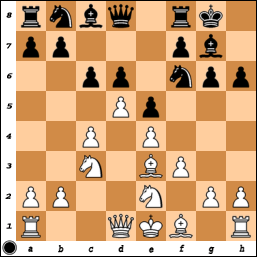 It becomes clear that Black has serious problems, such as the weak pawns on b4 and d6, and the weak connected squares on c4, a5 and c6. 27… Qc7 28. Ba5 Qb8 29. Qe3 Ba8 30. Kg2 Nb7 31. 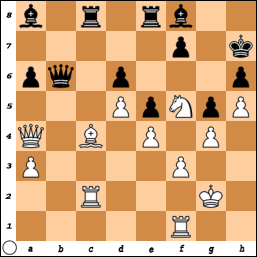 Qxb3 Nxa5 32.
the weakness of the a6-pawn will now decide the game. Rb8 54. Rc6 Kg7 55. Kd2 Kf8 56. Kc3 Ke8 57. Kc4 Kd7 58. b6 Ra8 59. Kb5 Bd8 60. Black’s biggest mistake was going into a KID structure type I, and not pursuing the primary plan …f7-f5 followed by kingside play. Black’s position around move 19 seemed to indicate there were some chances of queenside play, but similar to the game Carlsen-Hammer from Chapter 14, the lack of entry points prevents Black from achieving anything. I believe I was somewhat more alert than my opponent when it came to tactics, in fact I saw many of the winning moves he missed. It was his superior understanding of the structure what allowed him to defeat me with such ease. Thanks very much for the blog. I am reading two ebooks now and when done with one of them I will buy your book. Happy it is available as an ebook! Really enjoyed this game. I am only a class player but I have got a N to f5 in some KID games, plus used the c-file after …cxd5; cxd5. Sometimes I have done this after 0-0-0 and then Kb1. Don’t know if 0-0-0 happens often in these types of positions. I am playing the Makagonov variation of KID. Thanks for your support Gerry! I don’t think 0-0-0 happens often once the c-file is open, but it can be done if you are careful enough. 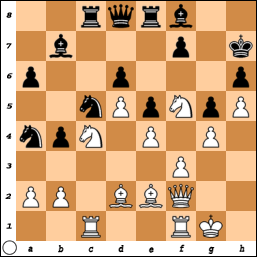 Either way, I think White enjoys some advantage due to the d5-pawn. Make sure to click “Follow” so you get an email once a new post is out. Take care! Bought the book today. Just went through 2 French games so far from Ch. 19. I am not well read in chess like many amateurs but I have read some books over the years. One thing I like is I don’t recognize the games in Ch. 19 so far. In many strategy books they keep using the same main examples and it is nice to see different games. Thanks for your comment. Actually this is a recommendation from Quality Chess editorial; they asked me to pick very recent games to avoid boring readers with examples they know, so I am glad you appreciate this. Take care!